A little-known Mexican merchant by the name of Antonio Armijo led a trade caravan of several dozen men through Nevada in the 1800s. His traveling party of traders named the area Las Vegas. The modern-day city that we have come to know began during the Truman administration in the 1930s. At around that time, the Hoover Dam was constructed, formerly known as the Boulder Dam. Construction on the dam fuelled the massive growth of the city. Migrant workers from across the country flooded into the area to build the dam, and this is precisely what gave rise to the need for entertainment for these workers. Local Vegas businesses began catering to the workers, and the introduction of mafia crime bosses from Chicago, New York and Florida also contributed with the introduction of gambling, entertainers, showgirls, alcohol, and the like. By 1931, gambling was legalized in Nevada, and several notable establishments in the Las Vegas Club, and the Apache Hotel gained prominence. 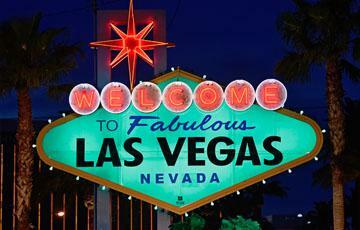 High profile crime bosses gained a foothold in the iconic city of Las Vegas. 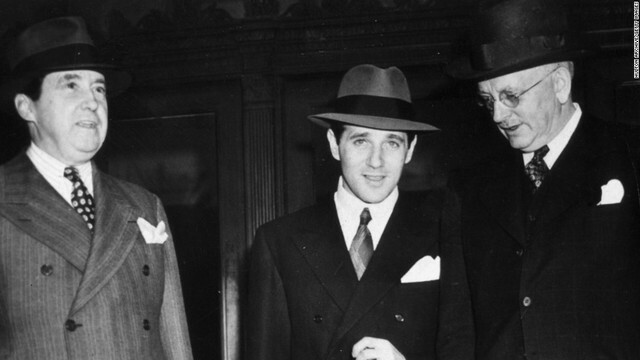 These included Meyor Lansky and Bugsy Siegel. These mobsters poured millions of dollars into Las Vegas, creating the iconic Flamingo Hotel in 1946. A year after it opened, Bugsy Siegel was gunned down in California. The local law enforcement in Las Vegas was particularly heavy-handed against mobsters from out of town, and they use ruthless tactics to control the crime bosses. Soon after The Flamingo was built, money poured in from Mormon banks and led to several new hotel and casino enterprises opening, known as The Riviera Hotel, Binion’s Horseshoe, The Tropicana, New Frontier, The Sahara, the Royal Nevada, The Sands, and the Fremont. These classic Las Vegas casinos stood the test of time, ushering in an unforgettable era of extravagant entertainment, booze, babes and majestic revelry. Favourable Gambling Odds for Players. The Las Vegas that we have come to know and love over the years was fashioned off the old school passion for lavish entertainment. The founders of Vegas – an eclectic mix of legitimate businessmen, gangsters, local businesses and out-of-towners all gave rise to the inimitable Sin City that is indelibly etched into our collective consciousness. In the early years, Vegas casinos offered favourable gambling odds to players. Card rooms, casinos, bingo parlours and other gambling venues worked hard to entice players into their establishments. For years this strategy worked, until card sharks and professional gamblers began taking advantage of the casinos. In the 1900s, Vegas was a small town in America. The businesses operating in the area included dry goods stores, restaurants, and bars. Contrary to popular opinion, there was no air-conditioning, and temperatures routinely soared to 110°F in the summertime. Gentlemen and ladies, gamblers and visitors walked around in suits and dresses, despite the oppressive heat, dust and discomfort. Of course, these concerns were alleviated by the entertainment establishments available to players, including bars, alcohol, and card games. The high levels of cheating that took place in card rooms and bars quickly spilled over into the casinos in later years. Out-of-towners quickly brought their skills with them and capitalized on biased roulette wheels, corrupt dealers, and games with favourable player odds. This led to casinos tightening up on their game odds, and ultimately making them more favourable to the house. In the early years, many players dealt their own cards, and used all forms of cheating activity such as marking cards, switching cards, and counting cards. One of the most commonly used tactics by players in the 1950s, 60s and 70s was spotting biased roulette wheels. It took some work, but with a little practice, skilled roulette players could quickly differentiate wheels that were off-centre, or tending towards certain quadrants with their outcomes. By the time gambling was legalized in 1931, slot machines and poker tables peppered the first casinos. Now, dealers took over from players, and this presented all sorts of opportunities for cheaters to try and gain favour with the dealers. As time rolled by, the smaller limit poker games and blackjack games gave rise to high limit games and mega-money pots. From the 1950s onwards, casinos quickly tightened up their operations, increased the house edge, and installed stringent security systems. However, the appeal of old-school Vegas was never lost. It was evident in the personalized nature of interactions between people, casino management, and locals. Diners, Cadillacs, swimming pools and sunshine, cocktails and sumptuous delights are part and parcel of the Vegas experience. Getting that Old School Vegas Spirit Back! Sin City is considered the ultimate adult entertainment destination, and for good reason. It has blossomed through the ages, adapting to each and every trend, ultimately becoming the world’s premier gambling enclave. To this day, a handful of venues still exist where players can experience the classic appeal of old-school Vegas. For many players, the allure of Las Vegas with mom-and-pop stores, diners, classic cars, and privately-owned gambling establishments is sacrosanct. It’s just not the same when big corporations like MGM, Wynn and other conglomerates rule the tables. Smaller online casinos still exist in Fremont Street and Northern Vegas, but the strip is dominated by juggernauts. Over the years, we’ve seen a rekindling taking place; a yearning for a return to that nostalgia and fanfare of old-school Las Vegas. It is evident in the pop culture through small screen TV series and big-screen movies. Fortunately, a niche audience for old-school Vegas casinos has sprouted, and there are a handful of venues that are looking to satiate this demand. The introduction of gambling games online has facilitated this transition. Online casinos have been around since the 1990s, but only a couple’s have actually toyed with the concept of catering to the magnetic appeal of the Vegas of old. The literature points in several directions, but one throwback venue stands out above the others, 777 . To many players, this online casino destination perfectly captures the essence of the time. The ritz and glitz, razzle in dazzle, fun and games of Las Vegas before the suits (the corporations) took over can be thoroughly enjoyed at these types of gambling establishments. Players who enjoy the nostalgia of that romanticized era, where decadence and opportunity reigned supreme can experience it in equal measure at 777. Thanks to cutting-edge technology, this online casino has been able to recapture the look and feel of old-school Vegas. One click is all it takes to soak up an unforgettable experience with from the comforts of home or on the go. Vegas is back, and players are loving it!